I like this :). Thank you for your affirmation. Thank you, Codylynn. May you have a feast in the night as you serve Him. Beautiful photo. One of my favorite stories of the Bible. Thank you, Francine. This story never ceases to amaze me. Coming from a gifted poet like you that means so much. Thanks, Deborah. Beautiful photo as well as poem! Thanks for sharing! Thanks, Francine. 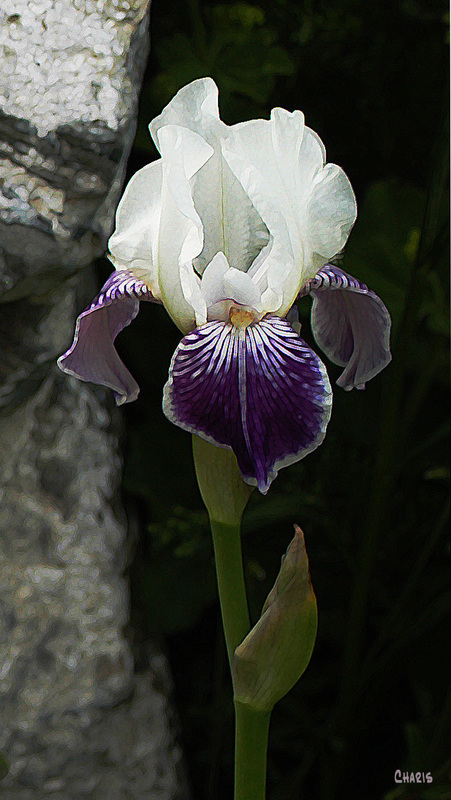 I haven’t figured out what to do with awards yet, but I am very appreciative of your nomination..
Lovely photo of an iris,and your words paint a beautiful picture of this story. Thank you. And thank you, for your comment. It’s a wonderful passage.